Millions of beneficial microorganisms (designate plant probiotics) that have an ability to stimulate plant growth and protect plants from pathogens are living in the natural environment. In our laboratory, we explore the potential of various plant probiotics for their ability to control plant diseases.The occurrence of agrochemical-resistant pathogens has become a major issue in recent years, and thus biological control of plant diseases using plant probiotics has been attracting attention as alternatives to chemical agents. 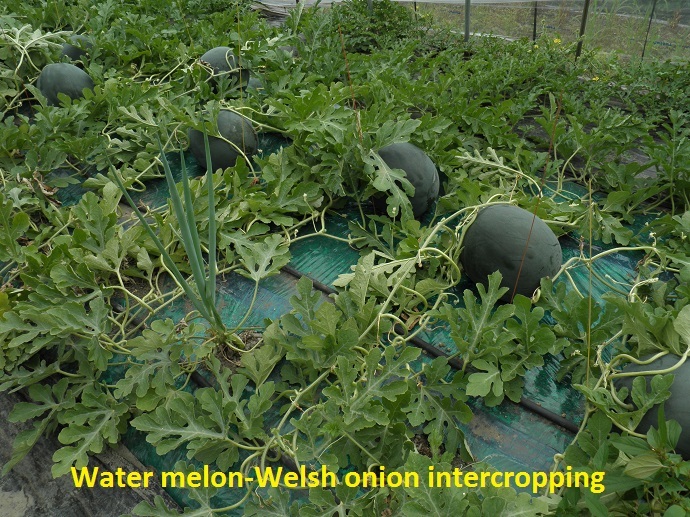 Intercropping with Allium plants is an age-old practice used to suppress the incidence of Fusarium wilt disease of cucurbits, caused by Fusarium oxysporum. However, the mechanisms underlying the Fusarium wilt suppression by intercropping are not well understood. 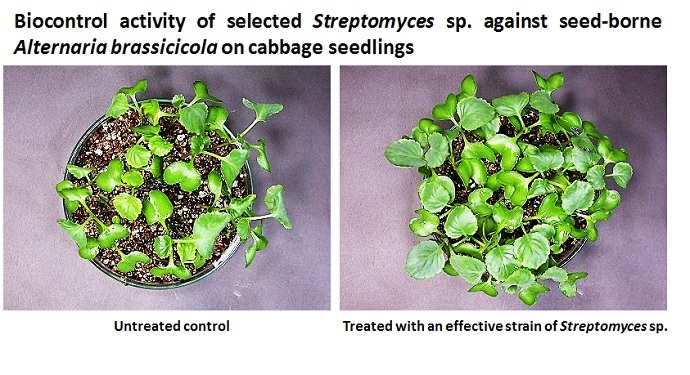 To elucidate the mechanisms, we analyze tritrophic interactions among plants, pathogen, and rhizobacteria using culture-dependent and -independent approches.